I’m writing this by popular request. I’ve had SO many mums tell me they struggle when it comes to getting their toddlers & kids to eat a varied, nourishing diet, especially with their busy lifestyles. Fussy eating is actually a pretty normal developmental stage, particularly for toddlers. Toddlers are inconsistent & unpredictable and it’s not uncommon for them to like something one day then dislike it the next. But it can be tricky for some Mums to navigate when there are concerns they are just not getting in enough fresh whole healthy foods. There are LOADS of great resources out there with recipes & suggestions on pre-preparation of meals etc. already. So I wanted to share 3 specific & lesser know tips instead. There’s a reason those in the health sphere go on & on about green smoothies. Super quick & easy & digestible, great for busy mums to make on the run without having to utilise too much brain power! You can make greens, fresh fruit & even certain vegetables taste yummy! You can access our basic recipe here which our 2-year-old loves, as long as we put in that all-important super ripe banana & an organic Medjool date. He especially loves it when I go to the trouble of cracking open a young coconut & pouring in all that juice & the young soft flesh. Yum!! We’ve tried a couple of superfood blends for toddlers/kids, and we love this ayurvedic superfoods blend the best! It’s especially good for little tummies & growing bodies. We put a half serve of Nourish in our little guys green smoothie & we know he is covered nutritionally for the day. Especially on days he may not have gotten a lot of veggies in, I know that he can have a smoothie & get everything he needs. It’s actually pretty good made into a warm ‘milk’ drink too (we use oat or coconut milk) for an after dinner wind down drink. 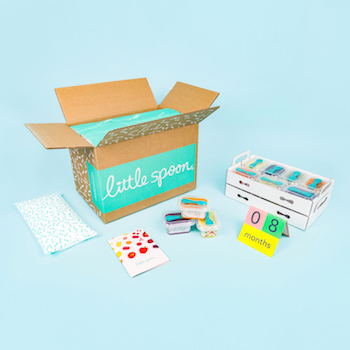 If your little one is under 3 check out Little Spoon Organic for babies & toddlers. They do a great range of fresh baby food, delivered fortnightly. 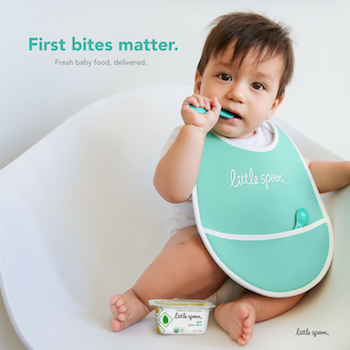 They use over 80 organic ingredients, designed for your child’s needs. Sorry Aussies, they only deliver to all US states at present. Someone, please start one up here! Making food fun! And making junk food healthy. Statistics show that kids are over-fed but undernourished so get nutrient-dense foods in where you can! Slip some grated zucchini &/or pumpkin into baked eggs, hashbrowns, crochets, blender muffins etc. Our little guy LOVES chips so we make them at home regularly, in coconut oil & with sea salt & clean condiments rather than buying chips cooked in toxic oils & harmful table salt. If you have the time, you can get a little creative with fruit shapes & cutting sandwiches into fun shapes too. For bigger kids try doing a smorgasbord of a few different healthy bits & pieces on the table and allowing them to choose what they want, a ‘tasting plate’. Support their independence by giving them choice. Budda bowls & smoothie bowls are fun too. Don’t forget that fussy eating is often their way of exploring their environment and asserting their independence. And kids appetites will go up and down depending on how much they’re growing at the time, and how active they are. If your child is fussing about food, best to not react or give it much attention. Giving fussy eating lots of attention can sometimes encourage children to keep behaving this way. Sometimes children will refuse food just because it gets an interesting reaction from you! If children refuse to eat a food, it doesn’t necessarily mean they dislike it. They might just be putting on a show of independence to see what you’ll do. Try to stay calm & not react when this happens. It can be a good idea to support your child’s need for independence when it comes to food. It’s up to you to provide healthy food options for your child. And it’s up to your child to decide how much he’ll eat! It’s tempting to offer your child food treats just so he ‘eats something’ – for example, ‘If you have a carrot, you can have some chocolate’. But this can make your child more interested in treats than healthy food. It also sends the message that eating healthy food is a chore. Sometimes sensory issues can also be playing a part in fussy eating. Sensory issues are commonly linked to oxidative stress & toxicity, and relief is often found by reducing oxidative stress & increasing glutathione production. To learn more about this you may be interested in the following articles. What have you found useful when it comes to getting fussy eaters to eat a good healthy, clean diet? What are your favourite tips, and what works best for you & your family? Great ideas – we also do smoothies, although I’ve never thought to add a date to sweeten it up. Cute ideas for fun shapes with fruit. What a great and healthy way to feed and make the little ones have fun while eating or drinking healthy food! I would add a story or making them tell me what color and shape the fruit or vegetable is and why it’s good for us. It makes them talk and do they love it ?